50-52 Buick Copper/Brass replacement radiator. 100% New and Made in USA radiator. Replaces OEM # 3123756 and others. 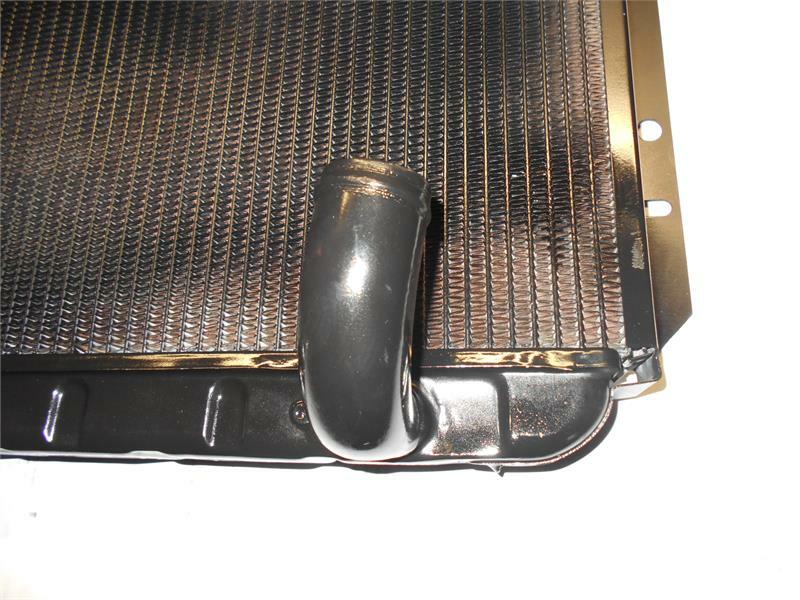 This is a correct appearing and fitting replacement radiator with serpentine fin design. The core size is 22"tall x 22"" wide. This radiator does not have a transmission cooler. Top neck is 1 5/8" diameter & lower neck is 1 5/8" diameter and curved upwards. This radiator will fit Roadmaster and Century models. 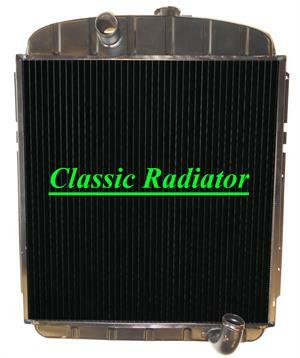 Radiators for the smaller 40 Series Special can also be built. We stock this radiator in both regular and high efficiency core designs. The regular core has the tubes on 9/16" centers and the high efficiency has the tubes on 3/8" centers. The high efficiency will cool about 18% to 20% better than the regular core because of the denser design and more surface area. If you require exact 100% originality, we can recore your radiator. Recoring means taking the tanks and brackets off of your radiator, cleaning them and soldering them onto a new cellular core just like the original core. This would preserve your OEM stampings on your tanks & brackets for originality. Contact us for more information on this service.